Formulated to assist athletic performance, each ingredient in Citrulade® was selected to support cardiovascular and sexual health by helping to improve vascular blood flow. 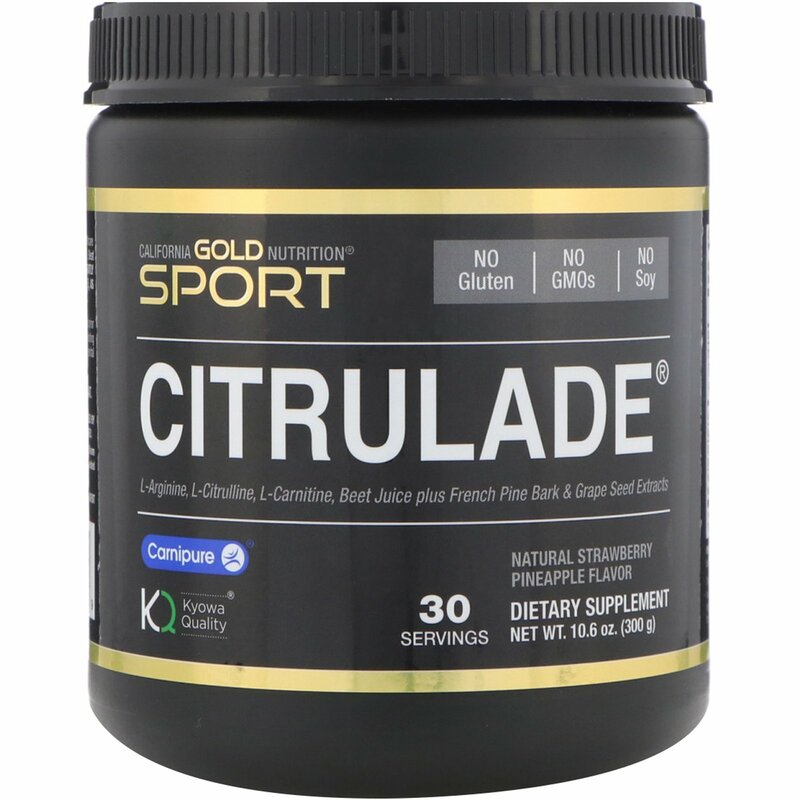 * Citrulade® features Amino Acids plus Phytonutrients blended together to create a great tasting instant sports drink mix that can be mixed with purified water, your favorite fruit juice or into your daily smoothie. 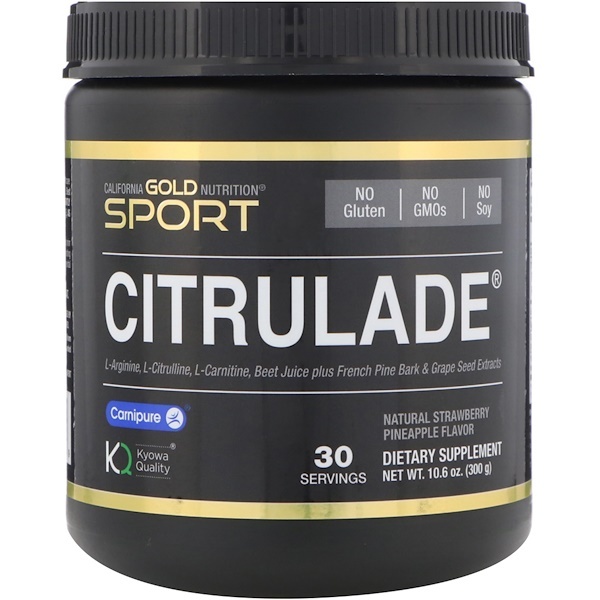 California Gold Nutrition® Sport Citrulade® is manufactured in the USA and meets or exceeds all qualitative and quantitative Quality Control specifications. Take 1 serving daily. Best when taken as directed by a qualified healthcare professional. Mix Citrulade with purified water or your favorite 100% pure fruit juice. Best when taken apart from protein-rich (amino rich) foods. For best results, stir or gently shake to mix. Do not shake vigorously or use a blender (blender-type bottle), as this type of mixing will create excessive foam. Organic acacia gum, natural flavors, citric acid, stevia leaf extract, silicon dioxide, monk fruit extract. This blend is not formulated to be 100% soluble in liquids. Naturally occurring sediment is normal. Keep out of the reach of children. Consult with a qualified healthcare professional prior to using this product, especially if you are being treated for cardiovascular conditions, pre-existing medical conditions or if you are taking prescription medications (e.g., Nitrates). People with genital herpes should not take products containing L-Arginine, as it may aggravate their symptoms. Contains a non-toxic moisture absorber to maintain freshness. Do not eat. Sealed for your protection. Do not use if seal is missing or broken. Best stored at Room Controlled Temperature (CRT) 20°C to 25°C (68°F to 77°F). Improper storage conditions, such as extended exposure to direct sunlight, high heat & humidity can cause product degradation over time. Product taste, color and consistency may vary from batch to batch. This product is packaged by weight, not volume. Settling of contents occurs over time and cannot be avoided. 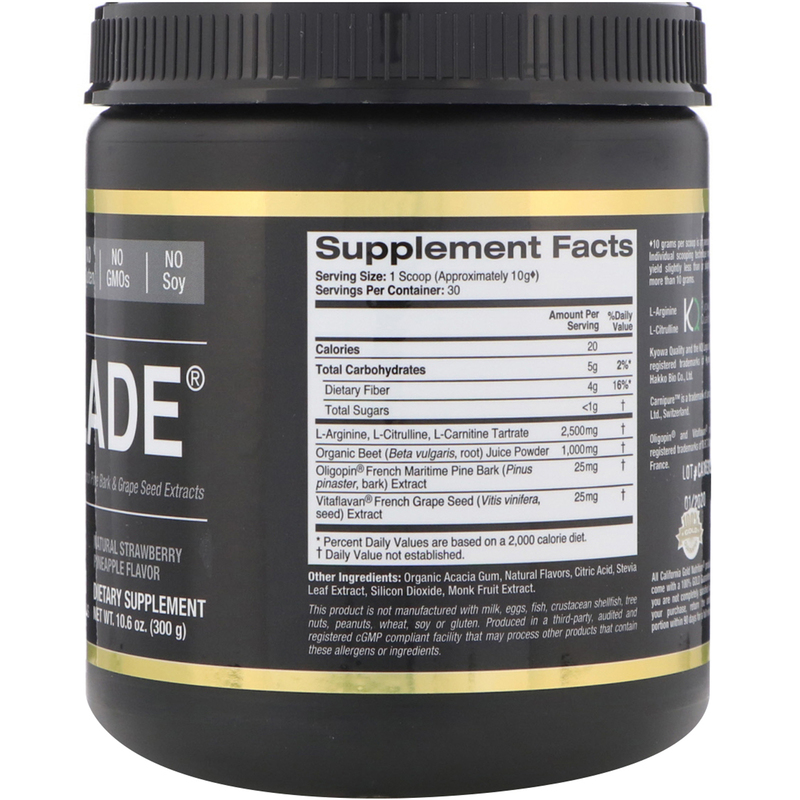 ♦10 grams per scoop is an average. Individual scooping technique may yield slightly less than or slightly more than 10 grams.